« Day 372 in Beijing: Dancing Lights On The Liangmahu. 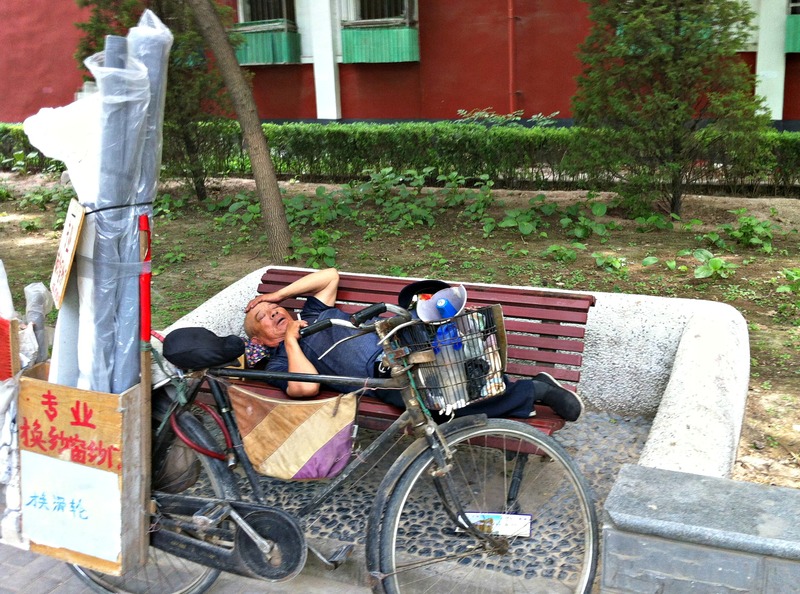 Day 373 in Beijing: Sleeping Around. I don’t think I’ve ever seen people sleep so much as in Beijing. I also don’t think I’ve ever seen people sleep in so many places as in Beijing. People here just decided to sleep and go for it. These are just a few of the pictures from the last week as Jill and I walked around Beijing and notice people sleeping. I’ll add more as we see them. Trust me, we see them a lot. I love that the one guy decided to take off his shoes to sleep. Wouldn’t want to be uncomfortable when you are sleeping on a cement wall. If you notice, the guy sleeping by his his bike, he is smoking a cigarette while sleeping.